No matter what type of business you’re in, if you are in need of industrial hose products and fittings then you will be glad to have found ASJ Industrial Hose & Fittings. Not only do we offer a full line of the highest quality products on the market, but we work to provide the most competitive prices possible. We are proud to help with hose and fitting supply in San Bernardino County for any need you have. Keep reading to learn more and then give us a call at (951) 735-1351 if you have questions. No matter what type of hose connection you are searching for, you can count on ASJ Industrial Hose & Fittings to offer what you need. We work with top brands and offer the complete line of fittings from industry leader Continental ContiTech. Whether you need options made for low pressure applications, medium pressure applications, or high-pressure applications, we can help. If you have questions about finding the right fitting then there is good news for you: You are not alone. In fact, we work with clients all the time who aren’t exactly sure of what they need. The process for getting advice is very simple. Just give us a call, let us know what you’re looking for and then we can offer options. You can trust that we will offer solutions that provide the tight, reliable connections you should expect from us. We can help with any and all types of hoses and fittings, including air, metric, quick disconnect, cam and groove, hydraulic, fire fittings, garden hoses, and many more. If you have a need you don’t see listed, don’t despair – just give us a call. We likely either have it in inventory or can get it ordered for you lightning fast. It’s true that we can help you with hose and fitting supply in San Bernardino County but it’s also true that we can help with a wide range of other needs. For example, whether you are looking for fittings as part of a total hose assembly, or you’re just looking for fittings to fix an existing hose configuration, we have you covered. You can trust that you will always be treated as the priority you are and that we will work tirelessly to fulfill your order on time and without errors. The list of reasons to choose us for all your hose and fitting needs is a long one. Consider that we have more than 35 years of experience in this field and you’ll see that we can help any customer. Though we started as a small company working out of a family garage, today our facility is more than 24,000 square feet. 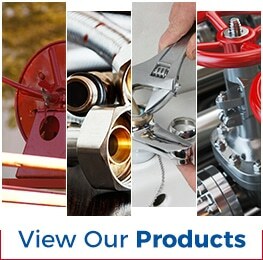 Our products including food hoses, agricultural hoses, concrete pumping hoses, chemical hoses, and much more! Our large inventory assures that there’s a good chance what you need will be available for pick-up or delivery right away, but if it’s not then you can trust that we’ll order it quickly. 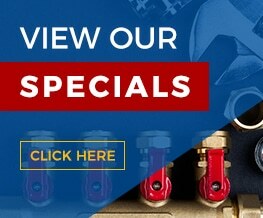 Stop by ASJ Industrial Hose & Fittings or give us a call today!